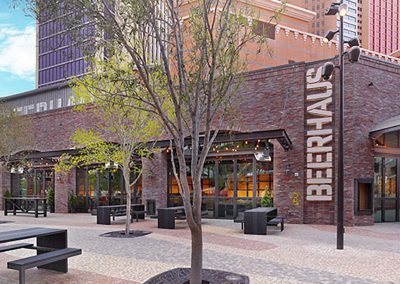 An outdoor entertainment, dining, nightlife, and recreational area plus a 20,000 seat arena and a 5,000 seat theater. In front of and between New York-New York and Park MGM on the South Strip. There are lots of permanent and pop-up art displays throughout the area that can be fun to look at. Not a destination but worth walking through if you are passing by. It is no small thing that the biggest Las Vegas opening of 2016 had absolutely nothing to do with gambling. 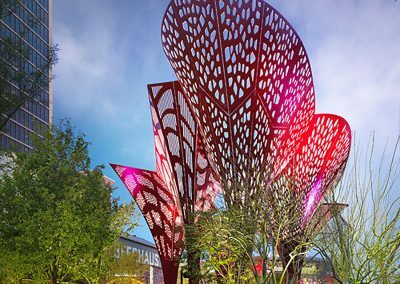 Whether it is a harbinger of the future or merely a sign of the times, The Park has come to The Strip to add more entertainment, dining, drinking, and relaxation options but not a single new slot machine or blackjack table. Those looking for evidence that things are different in Vegas should look no further. 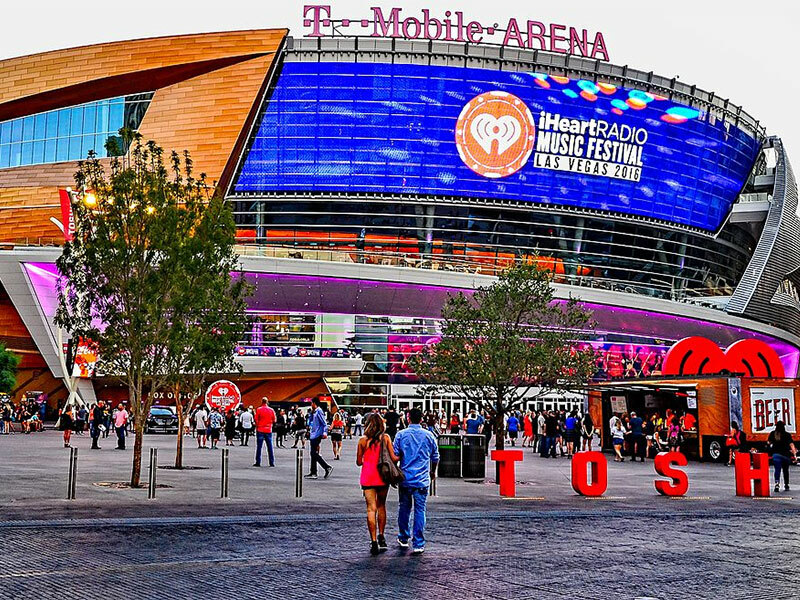 The Park takes over the formerly mostly unused land between Park MGM (formerly Monte Carlo) and New York-New York with a heavily landscaped pedestrian plaza, restaurants, bars, and more all pointing toward the centerpiece, the 20,000 seat T-Mobile Arena. 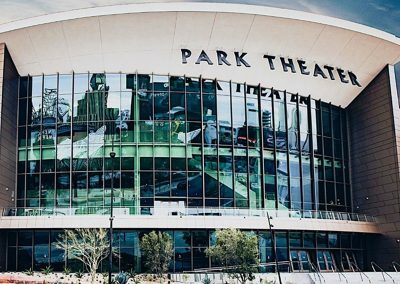 A 5,000 seat theater was added in late 2016 and has residencies from Cher, Ricky Martin, and others. 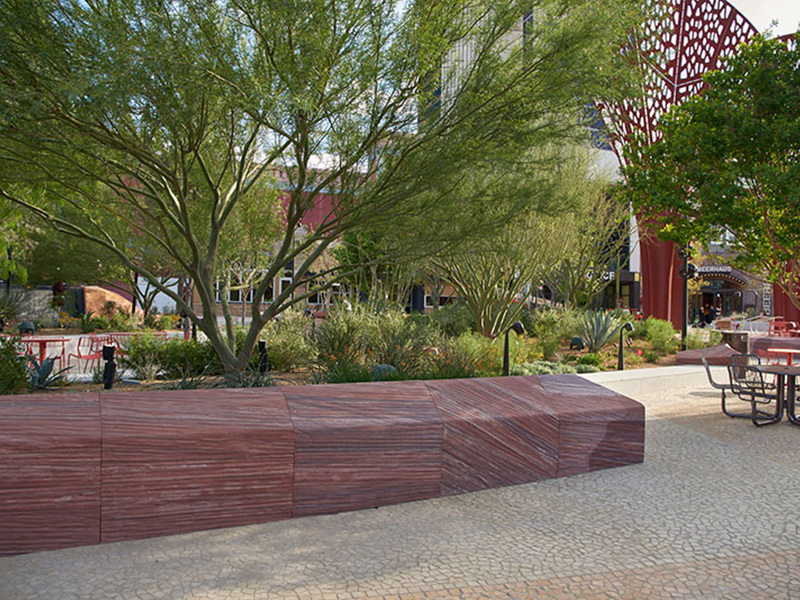 The park part of The Park aims to be as close as you can get to one along the concrete jungle of the Las Vegas Strip. 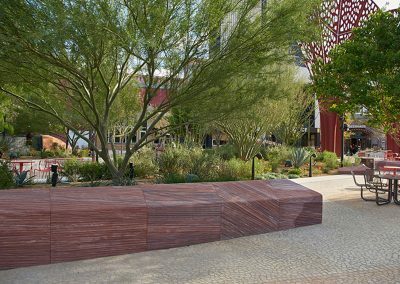 Desert landscaping dominates with acacia and honey mesquite trees providing shade and flowering plants like pink hesperaloes, yellow damianitas, and purple salvias providing pops of color. Water features include a double water wall, standing eight feet high at its tallest point, and low water tables programmed to allow water to bubble and splash. 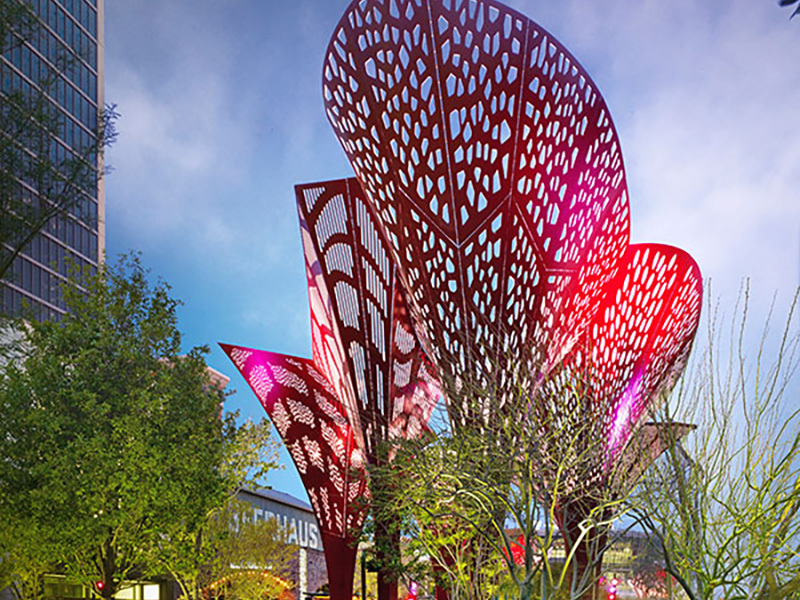 Large shade structures that resemble something like metal tulips are unique features for The Park. 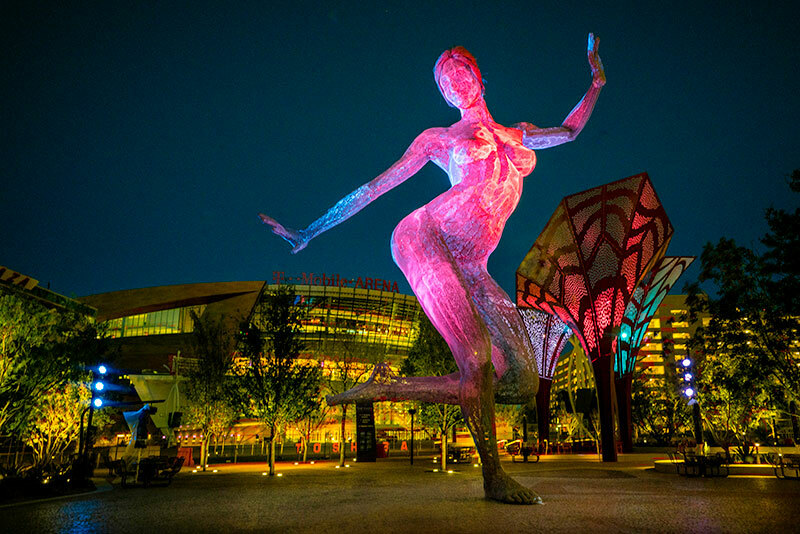 Ranging between 55 and 75 feet tall, the structures aim to provide relief from the sun during the day and are lit up with multi-hued LED lighting at night. 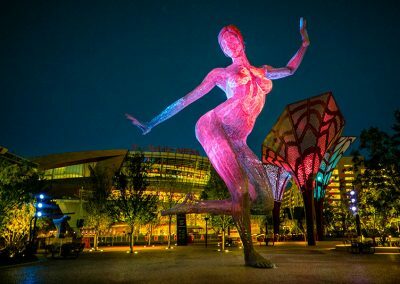 Art is also a feature with the primary piece being Bliss Dance, artist Marco Cochrane’s iconic sculpture, which originally made its debut at Burning Man in 2010. The 7,500 pound piece, showing a female form dancing, has been refurbished after spending a few years on Treasure Island in San Francisco. Other pop-up installations rotate through. Lining The Park are a variety of restaurants including the east coast favorite Shake Shack; the Beerhaus, a farm-to-table restaurant and bar featuring craft beers, live music, and lawn games like bocce ball and darts; the always reliable California Pizza Kitchen; Sake Rok, a sushi/sake restaurant by day and an interactive nightclub after dark; and Bruxie, a gourmet waffle restaurant from California. 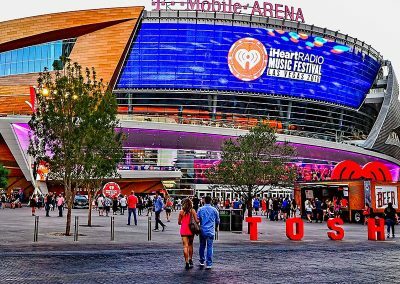 The T-Mobile Arena is seeing big name artists like The Killers, Nicki Minaj, Ariana Grande, Guns n’ Roses, George Strait, Billy Joel, Janet Jackson, Garth Brooks, Dixie Chicks, Keith Urban, Carrie Underwood, and more. The arena is also hosting sporting events including the Pro Bull Riding Finals and boxing and UFC matches during the rest of the year. There are active attempts to score a major league hockey franchises for the city but that hasn’t been finalized yet. 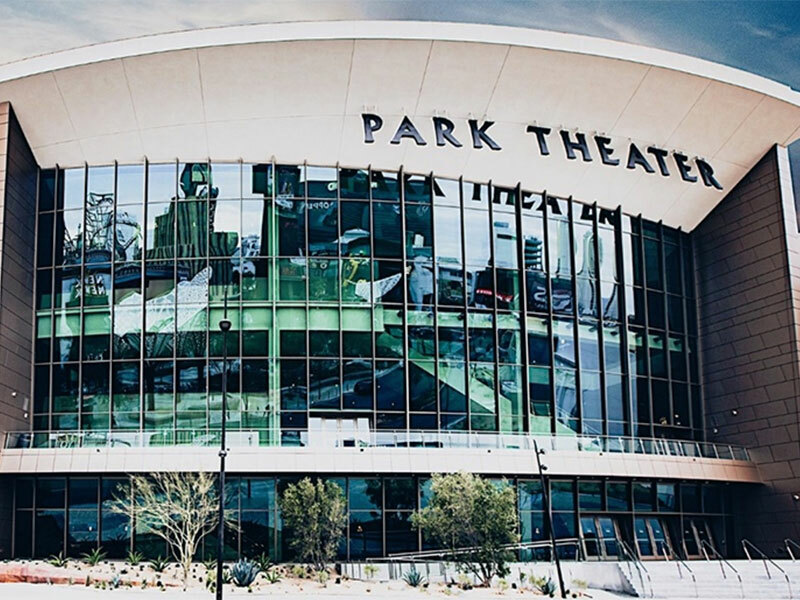 The 20,000 seat arena features 44 luxury suites, 2 party suites, more than a dozen private loge boxes, the outdoor Toshiba Plaza for special events, and an impressive cocktail and food program from Levy Restaurants and master mixologist Tony Abou-Ganim. The 5,000 seat theater is featuring residencies from Lady Gaga, Bruno Mars, Cher, and Ricky Martin. 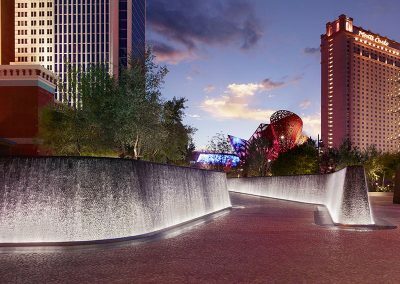 The Park is a nice addition to The Strip but it’s not exactly something you should go out of your way to see. 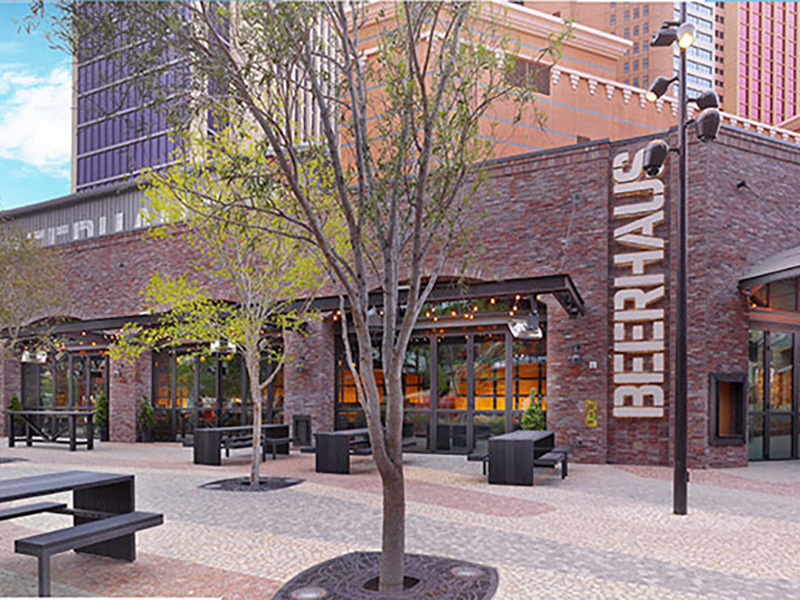 But if you’re walking along that side of The Strip, why not take a wander through?